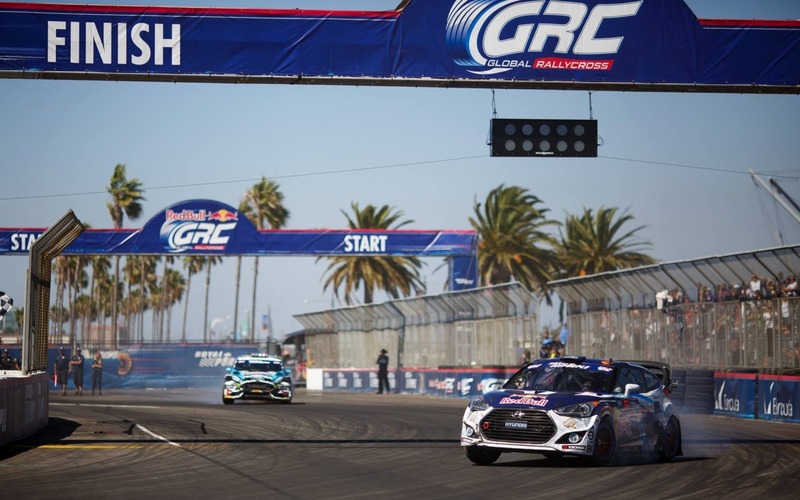 This morning, in a surprise announcement, Rhys Millen Racing (which races in Rallycross with a pair of Hyundai Velosters) revealed that its Korean partner had just ended their support for the team. This decision comes as a surprise, as the series is getting more and more popular. Plus, their Velosters are quite competitive: in the last 6 races of the season, Rhys Millen Racing managed to finish in the Top 3 each time. This piece of news is a rough one for Rhys Millen Racing; not only will they have to sell their current race cars, they will also have to work very hard to find new partners if they want to compete in the 2015 season. This will also affect Hyundai's racing effort at Pikes Peak.